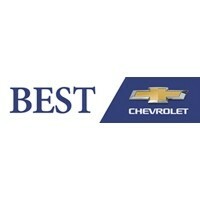 Best Chevrolet is all about you. Learn more about us today! Are you tired of dealing with dealerships that don’t put your needs and desires first? When you choose to buy your next car at Best Chevrolet, you’ll be leaving behind subpar dealer experiences for one that meets and exceeds your expectations. In addition to our outstanding selection of new Chevys and quality pre-owned models, you’ll enjoy a dealer culture that embraces the Disney vision of customer service through the Disney Institute in Orlando, Florida. The result is a level of satisfaction that’s tough to match.Shop for a new car at our dealership and you won’t have to worry about the anxiety of haggling for a competitive price. That’s because all of our cars have already been priced using our Best Price Policy, which uses a complex algorithm and analysis of regional prices to put it at the lowest possible price, allowing you to forego the need for bargaining. Are you ready to walk away with the car of your dreams? Speak with one of our professionals today . You’ll also have access to low financing rates through our finance department. Throughout the time you own your vehicle, we promise to help you keep in excellent condition with the help of our state-of-the-art service facility. While you wait for your vehicle to be serviced, enjoy TV, snacks, and Wi-Fi in our lounge. Best Chevrolet has been serving drivers in Newton, Braintree, Quincy, Boston, Brockton, and beyond since 1957, and we look forward to doing so for many years to come. Stop in and see us today at 128 Derby Street in Hingham, MA.